Ask a question about 605 Sutton Pl #204, or schedule a tour. 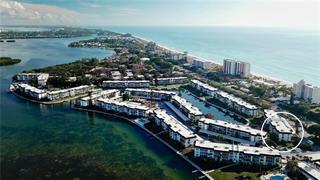 With panoramic views of the beautiful azure waters of Sarasota Bay, this light and bright condo is the perfect vacation or permanent home. 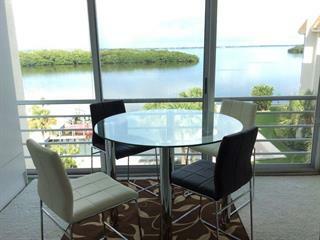 Truly a must see property for avid beach goers and boaters, this updated unit is just steps to a... more. 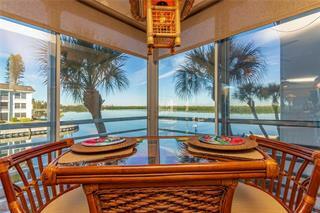 private marina, pool and wonderful Gulf beaches. It’s well equipped with newer appliances, newer cabinets, solid surface and stone counters, a new air conditioner, newer windows, plantation shutters and beautiful tile flooring throughout. 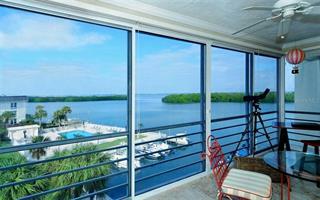 Sutton Place is a great Gulf to Bay community and seaside retreat perfectly located mid-key. Its private and gated beach pavilion is located directly across the street and includes convenient showers and lockers along with magnificent sunsets, crystal blue waters and powder white sand! This is a pet friendly complex, allowing 2 small pets and features 2 heated community pools, a 16-slip marina, clubhouse, BBQ grills, kayak storage and lovely manicured grounds. 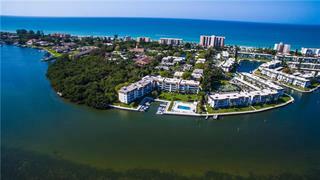 Sutton Place is 1 mile north of the Longboat Key Publix, 6 miles from St. Armands Circle and just south of the fine dining and shopping of Bradenton Beach. 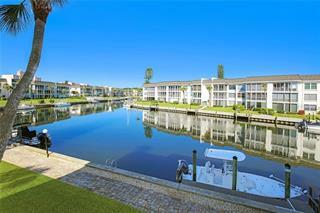 Beautiful waterfront parks and paths for walking, running or biking are easily accessible. 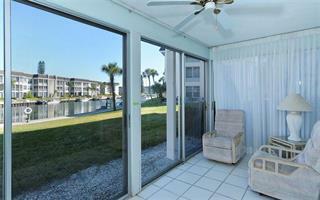 This Complex features an elevator and Laundry room conveniently located on the same floor as your unit.